Founder and publisher of National Review magazine, conservative William F. Buckley, Jr. squares off with featured guests to debate about topics and events of the time. Questions are asked by the "examiner" (typically a liberal) as William F. Buckley, Jr. debates with the next contestant on "Firing Line." Conclusion. It's hail and farewell to Firing Line and long-time host William F. Buckley. Part 1 of 2. After 33 years and nearly 1,500 shows, Firing Line comes to an end with a retrospective. Buckley and Firing Line take their show on the road to Oxford, MS where the host takes questions from students at the University of Mississippi. Henry Kissinger makes his final appearance on Firing Line for a discussion with host Buckley on foreign policy. Legislative proposals by the GOP in Congress and the efforts to get them passed are discussed. Author Peter Huber discusses his recent book Hard Green: Saving the Environment from the Environmentalists. Private philanthropy and its relationship with government spending is discussed with former Treasury Secretary William Simon. The state of Texas has some of the country's toughest drug laws. Should they be eased by Governor George W. Bush? Buckley and others examine the case for and against. Former NYC Mayor Ed Koch analyzes and examines the tenure of the city's current mayor, Rudy Giuliani. Episode 27 - Will Clinton Smother Tax Cuts? Now that there's a budget surplus will there be a tax cut or should President Clinton veto any such initiative? Episode 26 - What Do We Do Now About Taiwan? Episode 25 - What's Up in New Jersey on Abortion? A controversial new abortion law being discussed and debated in the New Jersey Legislature is the topic of this week's installment. Jersey City Mayor Bret Schundler, the first GOP mayor of that city since 1921, takes a seat on Firing Line to discuss his political career. Episode 23 - Should Parents Be Notified? Should underage girls get parental permission before getting an abortion? That's the topic for debate on Firing Line this time. Potential mayoral candidate Mark Green discusses his platform should he run for the office. Host Buckley's baby brother, Reid, comes to Firing Line in order to discuss the topic of public speaking. Episode 20 - Kosovo: a Pyrrhic Victory? Was Serbian capitulation after being bombed by NATO forces a real victory or just a Pyrrhic one? Host Buckley and guest Richard Pipes discuss things. Senator Joe McCarthy has long been portrayed as the epitome of evil by many liberals but was he? Host Buckley and others look back on this controversial figure in American history. A debate over police tactics between former NYPD commisioner William Bratton and ACLU head Ira Glasser. Why are teachers unions so adamantly opposed to school vouchers? Host Buckley examines. Economist John Kenneth Galbraith makes his final appearance on Firing Line and reminisces with host Buckley. Should the conservative movement be applauded or is it merely a house of cards? That's the subject for debate among host Buckley and others. Henry Kissinger sits down with host Buckley to discuss the latest volume of his memoirs entitled Years of Renewal which cover his tenure as Secretary of State during the Ford Administration. Episode 13 - Kosovo: What Do We Do Now? The continuing crisis in Kosovo is examined and United States options are discussed. Episode 12 - Is Good Music Going Under? Modern music is discussed in this episode of Firing Line. Episode 11 - Was There a Right Wing Conspiracy? Was there a vast right wing conspiracy, as some liberals claimed, that set out to get President Clinton impeached at any cost? Episode 10 - Why Reject DNA Testing? DNA testing is the subject for discussion in this episode. Episode 8 - Legalize Pot? Firing Line's umpteenth debate over the legalization of marijuana. Episode 7 - What the Market Does Not Accomplish? Buckley and guest Robert Frank discuss and debate the subject of a consumption tax to replace the income tax code. Buckley grills author Tom Wolfe about criticisms of his style of "journalism." Episode 5 - Israeli Logjam: What Now? The recent collapse of the Israeli-Palestinian peace talks is the subject for discussion on Firing Line this time. Episode 4 - Can We Afford a Missile Defense? A discussion of what should be the United States strategy towards missile defense. A discussion of the Lewinsky scandal and subsequent impeachment of President Bill Clinton and what is says about America. Episode 2 - What to Do About Pinochet? Episode 1 - Is New York City Out from Under? Episode 35 - Is Texas Permanently Republican? Politics in the state of Texas is examined with a look at the rise of GOP power in the Lone Star state in recent years. What should the GOP do to increase its vote totals with Hispanics in the elections of 2000? Host Buckley and others discuss options. Host Buckley discusses trends in modern art with long-time 60 Minutes correspondent Morley Safer. A debate over whether hate crime legislation is necessary or just legislative pork barrel. Episode 31 - What Happened to the Republicans? This episode has an examination of the Congressional election results of 1998 and the unexpectedly mediocre showing of the Republican Party. Recent developments in the Catholic Church are the subject for discussion in this installment of the series. Episode 29 - Is There a Role for the CIA? A discussion of morality in the context of the impeachment of POTUS Bill Clinton. The transfer of Hong Kong from British control back to the Chinese is discussed with the final British governor of the city. Ann Coulter, soon to become a legendary diva in conservative circles, discusses the grounds for the impeachment of POTUS Bill Clinton. Episode 25 - Did McNamara Tell the Whole Story? An examination of former Defense Secretary Robert McNamara's memoirs about the Vietnam War. Episode 23 - More/Less Trade with Asia? A two-part discussion on the topic of free trade. Part 1 focuses on trade with Asia. A Chinese human rights advocate discusses the current situation in his country and how the United States might be able to change things. Diplomat Richard Holbrooke comes to Firing Line to discuss the Dayton Accords which were aimed at ending the fighting taking place in the Balkans at the time. A discussion as to whether the CUNY system should end its policy of open admissions that has been in effect since 1969. Former Supreme Court nominee Robert Bork informs host Buckley as to why he's in support of a Department of Justice anti-trust action against Microsoft. Death and medical ethics are among the topics of discussion in this installment of Firing Line. Sexual harassment in the United States in light of the Paula Jones case is discussed in this episode. The 14th Amendment is the topic for discussion and debate on this week's edition of Firing Line. A discussion about Israeli Prime Minister Benjamin Netanyahu's rejection of certain planks in the new Middle East peace accord. Episode 11 - Do We Need Tariffs? Should there be tariffs enacted on certain imported goods in order to protect American manufacturing and workers? That is the topic of this installment. Episode 10 - Is Multiculturalism Still Rabid? 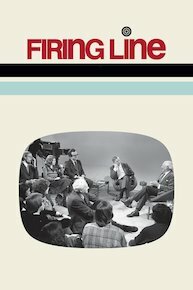 Multiculturalism, identity politics, and civil liberties are some of the topics discussed on Firing LIne this week with guest Arthur Schlesinger. Host Buckley discusses whether there is a nexus between economic prosperity and moral behavior with guest Larry Kudlow. The need for reforms in Social Security are discussed by host Buckley and then Texas GOP Senator Phil Gramm. Future GOP presidential candidate John McCain takes a seat on Firing Line to advocate greater Congressional action against the sale of tobacco products to minors. The topic of medical marijuana rears its head again on Firing Line. Episode 5 - Did Camelot Have a Dark Side? A discussion of Seymour Hirch's book The Dark Side of Camelot which alleges that JFK had an affair with a woman who was an East German agent. Buckley and Charlton Heston discuss the importance of the Second Amendment to the Constitution as a whole. Episode 3 - Is the Papacy Fading? Pope John Paul II and the Catholic Church of recent years are the topics for discussion. Episode 2 - Forgiveness for War Criminals? Should suspected war criminals in Bosnia be rounded up and prosecuted? That's the question at hand for host Buckley and guest Morris Abram, a former prosecutor at the Nuremberg Trials. The Olso Peace Accords and the newly elected Netanyahu government in Israel are the subjects for discussion.